When I was 17 working in my Retail Saturday job a new girl started who had the most beautiful hair. It was thick, so shiny and down to her bum and from that day I decided I wanted hair like that! After a traumatic super short boy cut after getting nits at school and being bullied for months I’d always had mid-length really thick hair. But I wanted more – mermaid/princess hair, the type of style that makes people go ‘wow!’ just like I did with that girl at work. So it grew and grew over many years until it was down to my belly button, thick and pretty shiny when I could be bothered to actually style it…turns out princess hair is very high maintenance! So when I went for a cut at a new salon three months ago and the stylist lopped off 3 inches in the space of minutes I was mortified! My long locks that I’d spent years upon years growing gone in the time it took me to say ‘just half an inch off the ends please’! 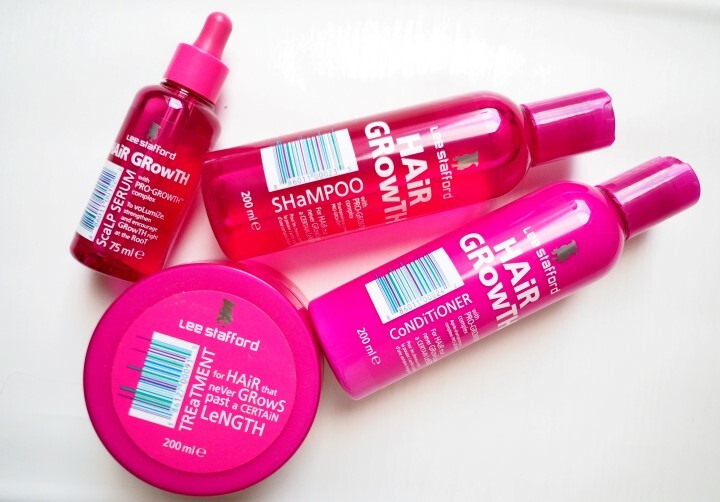 Not one to be beaten I marched right down to Holland & Barratt and scoured the internet for all the hair growth remedies and products I could find and I’ve been trialling them ever since! You guys are always asking on my weekly vlogs how I’m getting on so I thought I’d give you a little 3 month update and share with you a few of the products I’ve enjoyed, and some that I haven’t! Before my hair would grow about 0.5 inches every three months – yeah, it was THAT slow. I just assumed it was because growth tends to slow down at a certain length but I guess I just wasn’t using the right products. During this time I’ve had two trims (proper trims with just the very ends nipped!) and have been growing out the super short layers. I really do think my hair is starting to look and feel like it’s old self again which I’m happy with and it has never felt healthier too. I still don’t feel like 1.5 inches in 3-4 months is rocket speed but it’s a bit faster than it was before. In all honesty I’ve had quite a stressful three of those four months which will have stunted my hair growth a little, but we’ll see how well we get on for the next 3 months! I only took these for around a month because personal preference I hate taking supplements and tablets. I think it’s flashbacks to the horse sized pills I had to ingest as a teenager every day I was on Roaccutane; the Hair & Nail tablets are HUGE and uncoated, so not pleasant! So many of your recommended Biotin and I have to say that when I was on these my hair did look incredibly shiny and feel super healthy. I may give these another go moving forward, they seemed to be a winning combo if you don’t mind actually taking tablets every day…and remember to! Viviscal Shampoo (£7.50) – This was a pretty standard shampoo, cleans well, smells ok (a bit manly!) but nothing to write home about. I paid about £10 for mine in Holland & Barrat and I wouldn’t really rush back for another. 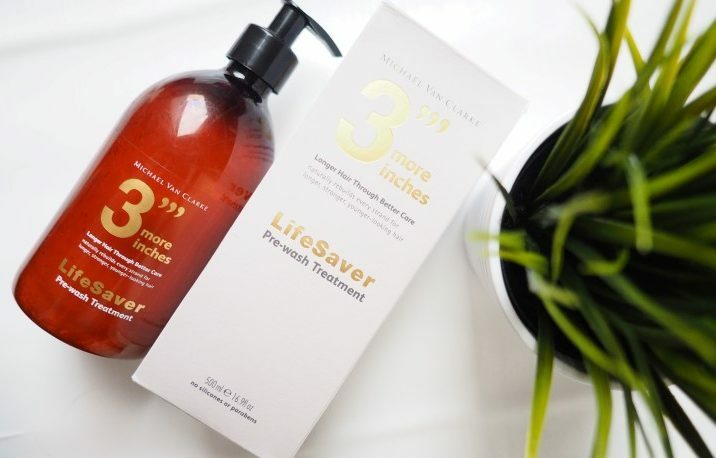 3 More Inches Pre-Wash Treatment (£50 per ltr) – This bad boy is a lovely product with a rather scary price tag! Simply pump into your hair and leave it for at least 45 minutes before washing to help stimulate growth. 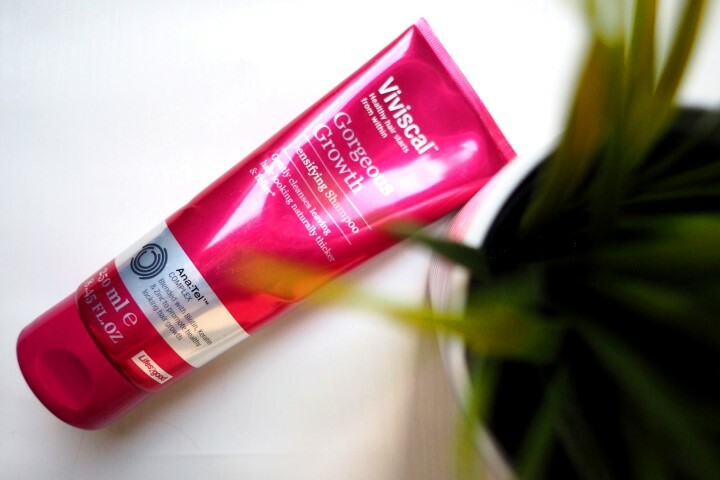 I like the smell, the feel (it dries out as you leave it unlike oil treatments so it’s a BIT easier to manage overnight) and how it leaves my hair looking when I’ve used it. I don’t like the price however so I probably won’t be re-buying. having said that a little does go a long way so overtime it would be a little more affordable depending on how many times you wash your hair! Lee Stafford Shampoo & Conditioner (£16 for both)– The Lee Stafford range has REALLY impressed me and it’s been my favourite out of everything I’ve tried. The shampoo and conditioner set is lovely to use, smells nice and best of all are reasonably priced. My hair feels good after using these, not overly sure how much they help growth though if I’m honest. Does make it feel a bit lighter and thicker though. Lee Stafford Serum (£10) – When I remember to use this I like how it feels aka it hardly feels like anything at all. No greasyness, no crunch, just a slight shine as it works it’s magic. Lee Stafford Leave in Treatment (£8) – This is my favourite and most used product from the Lee Stafford range. Simply put on your hair, leave for 5 minutes and wash off. It’s in a big tub and you don’t need too much. It might be psychological but it feels like I’m doing a lot to help my hair’s growth when I use this. 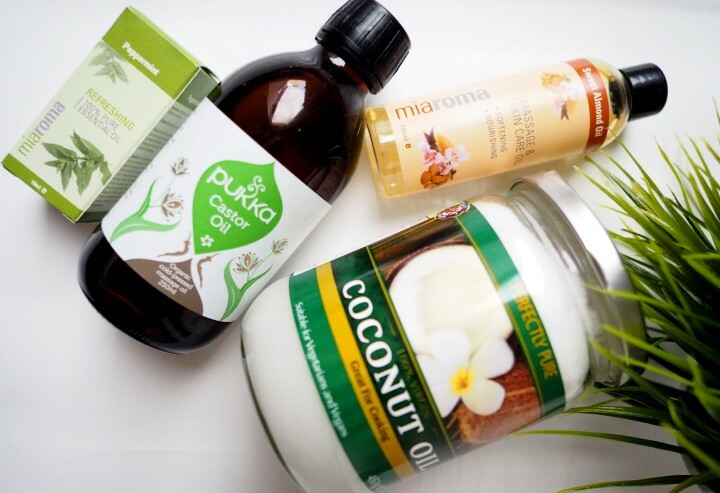 Overnight Oil: 3tbsp coconut oil, 4tbps almond oil, 2tbsp castor oil, 2-3tsp peppermint oil – This was a pricey one to make, turns out oils are bloody expensive! It made around 1 travel bottle size when combined which I used half of to cover my hair and slept in it overnight – use an old pillowcase! It felt lovely on my hair, smelt amazing thanks to the peppermint and washed off quite easily in the morning. My hair felt LOVELY after this despite me looking like a greaseball while it was working it’s magic. The feeling lasted another wash too so this is fabulous for hydrating tired locks. Again could be expensive in the long run but it really worked for me – hydration is key. All in all I’m really enjoying trying out new products, and honestly my hair has never felt better. Even if they haven’t been making my hair grow an inch a week they’re certainly helping everything look healthier and stronger so that’s ok in my book! I’ll check back in with you at 6 months and see if we’ve got our full 3 inches back!